As aspiring yogis we recognize the significant mental and physical benefits of breath awareness. Isn’t it incredible how a little focused attention on an involuntary physical process like breathing can have such an immediate, dramatic, transformative effect on our lives? So simple an action, yet so easy to overlook when we step off our yoga mats. With its mind-altering benefits, the breath truly resides at the heart of yoga. Indeed, there’s no better way to bring that amazing yogic feeling into every second of our lives than to reorient our awareness on the simple movement of our breath. So breathe. DO IT NOW! And enjoy each moment of this life. They’re too fleeting and few to waste. Technology is a two-edged sword. It makes our lives easier in so many ways, but it also brings with it all sorts of distractions (too many to list here). President Bush may have never found WMD’s in Iraq, but he could have looked a little closer to home because pretty much all of us carry around WMD’s — Weapons of Mass Distraction — in our pockets and purses all day. It’s awesome though when we discover new uses for our favorite grown-up toys that don’t ratchet up the distraction frenzy, but rather calm our minds, focus our attention for more than 30 seconds, and encourage a little more mindfulness in our daily activities. I recently discovered the “Health Through Breath – Pranayama” app for my iPhone and iPad and can tell you that it’s now one of my favorite and most used iOS apps. With its beautiful graphics and interface, the Pranayama app simply and effectively guides the user through a variety of stress-reducing breathing exercises. I wouldn’t say I’m an expert in pranayama–I’ve read more about it than actually practiced it–but this app is making me a true believer in the power of breath control. If you’re interested in using your technological resources to discover more about this fourth limb of yoga, you should check out the demo on the app’s website. 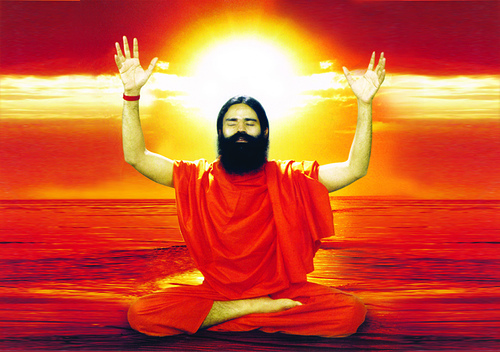 The website also provides a great review of many of the health benefits of pranayama. I won’t rehash all the science here (you can visit the website), but I’ve noticed that even practicing slow breathing for only five to 15 minutes a day has helped clear my mind and reduce any stress I might be feeling. If you could use a little more focus and a lot less stress in your life, then I recommend giving the Pranayama app a serious look. Take a Five Minute Yoga Break! I always find it surprising how much better I feel at work if I take a few minutes every now and then to sit up, stretch my body, and take some relaxing breaths. I found this refreshing routine at Yoga+ Joyful Living written by Greg Capitolo. Enjoy! Extended periods of sitting seem to be an occupational hazard in today’s information age. Even if you have good posture habits and the best ergonomic chair, your body will need a break to release muscle tension, stress, and stagnation in the joints. Fortunately, it’s easy to adapt some yoga postures for the office, allowing you to reap the benefits of hatha yoga without ever leaving your chair. Treat yourself to a five-minute break with this revitalizing sequence. 1. Breath Awareness To begin, sit at the front edge of your chair so that your ears, shoulders, and hips are in a straight line. Adjust the height of your chair so that your knees are even with the hip joints and your feet rest on the floor directly under your knees (if your chair is not adjustable, prop books under your feet or hips). Close your eyes and focus on establishing smooth, even diaphragmatic breathing; feel the upper abdomen and lower ribs expand with each inhale and fall with each exhale. After one minute, move on to the gentle stretches below, starting each exercise from this basic seated posture. 2. Shoulder Rolls On an inhale, draw the shoulders up toward your ears and back; then down and forward on the exhale. Repeat two more times, then reverse the direction. This exercise increases mobility in the shoulder joints and opens the chest. Perhaps you’ve discovered, as I have, that you have some of your best do nothing time when you’re laying on your mat in Savasana (“Corpse Pose”). For another take on the subject, check out the article “Find Serenity in Savasana” over at Yoga Journal. Isn’t it nice to have those moments in life when you’ve checked off every last box on your agenda and can just let your mind and body relax? I’m sure that happens to you all the time, right? Yeah, right. Are you still waiting for all that free time to show up before enjoying the fruits of doing absolutely nothing? Do you know how to “do nothing?” Are you too busy or have too many thoughts running through your head to relax and enjoy those ever-present moments of sweet nothingness? Do you even know what that is? For some, doing nothing is a waste of time, but for others it can be an art form that enhances their ability to enjoy the simple pleasures of life. Follow this simple plan to master the Art of Doing Nothing, and in the process improve your life, melt away stress, become more patient, and make yourself more productive when you actually do have stuff to do. Doing nothing, in the true sense of the word, can be overwhelming if you attempt to do too much nothing all at once. Most of us simply don’t know what to do with ourselves when we have nothing to do, which is why it’s best to start small. Focus on 5-10 minutes at a time, and start your practice sessions in a safe place — at home, not at work or in a busy public place. Find a time and place where there are not many distractions, not much noise, not a lot of people to bother you. Just make sure your surroundings are quiet and comfortable. Shut off all distractions — TV, computer, cell phones, regular phones, Blackberries, and the like. I know this might feel impossible to do, but doing nothing is tough when you’re surrounded by blinking gadgets beckoning for you to do something. Although you may initially get that panicky feeling that swells in your chest when you realize you drove all the way to the grocery store without a cell phone, I promise, it will be all right. I’ve been there, and I lived to tell about it. Now, close your eyes, and do nothing. Do nothing. Simple, huh? Perhaps doing nothing is more of a meditative mindset than a physical possibility. Of course, you’re always doing something — you’re sitting, you’re thinking, you’re breathing — but if someone were to call you and ask what you’re doing, of course you’d say, “Oh, nothing.” But luckily you’ve already turned your cell phone off, so you don’t have to worry about pesky distractions or telling others that you’re busy doing nothing. Just sit there for five minutes and do nothing. This is all you have to do to attain a basic level of do-nothingness. Commit to this practice for five to 10 minutes a day and observe what happens. To take this practice to the next level, continue on to the next step. First, breathe slowly in and slowly out. Next, on the inhale, notice how the breath enters your body through your nose, journeys down to your lungs, and expands your diaphragm. On the exhale, feel the lightness of the air as it slowly escapes the body. Feel the satisfaction of empty lungs. Try to do this for 5-10 minutes. You may notice while you are doing nothing that your mind starts to tell you that you need to do something. If it makes your mind feel better, go ahead and trick it by telling it that you are “doing” breathing. The mind just wants something to do. Of course, you’re not actually doing anything since you can’t help it whether you breathe or not. 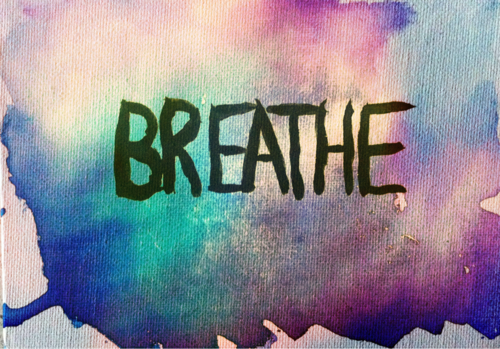 You’re just letting the body do what it does naturally: BREATHE. No effort, no work, just simply doing nothing. Amazingly enough, if you commit to just this little bit of doing nothing, chances are good that you’ll find that you like it a lot. Of course you won’t become a master of the Art of Doing Nothing overnight, but once you become proficient with these simple steps, don’t be surprised to find yourself wanting more and more nothingness. Doing nothing is not easy. It takes practice. But, if you commit to taking a few minutes each day to do nothing, it will become easy, natural, and a definite item to check off your daily to-do list. Check out the following article from the Mayo Clinic for a basic introduction to yoga and the variety of health benefits enjoyed by its practitioners. Lucky for me, I’m not currently sitting at a computer 14 hours a day. Hence, I’m less in need of ideas for getting some physical movement in during the day while at work. But, for most people some simple stretching, breathing, and mind-centering during the workday could make a huge difference in productivity as well as physical and mental well-being. I ran across a series of ten minute video clips designed by a yoga instructor for bringing a little bit of yogic awareness into the workplace and thought I’d share. The exercises are designed to counteract the effects of sitting down hour after hour. So, if you’re stuck at a desk for most of the day, use a few breaks during the day to do some desk yoga. Here’s another segment from the Y Yoga movie. I’m pretty sure that Diamond Dallas Page was a professional wrestler and now it looks like he’s changed his focus a bit. Talk about a no nonsense yoga instructor. I was pleasantly surprised with his earnestness in giving the soldiers in Iraq a gift that will help them better face the challenges they are up against. I really quite liked this clip. It sounds like the full-length feature film will debut in December of this year or February of next year. Men cannot see their reflection in running water, but only in still water. It seems like those who are really into yoga sometimes think that a yoga practice must be done at the exclusion of all other physical exercise. While it’s true that there are only so many hours in the day into which a person can cram a yoga routine around work, family, social life, eating, etc., I’ve found that a balance of yoga and other physical exercise seems to help my mind and body feel its best. Although some of us may wish we lived in Himalayan caves, practicing yoga night and day, for the overwhelming majority of us, that dream is simply not reality. While there are undeniable benefits that come from regularly finding time to step on the yoga mat, there are many other pathways for developing the mind-body connection. Almost any physical activity, whether it’s tennis or running or swimming, when approached with the same yogic mindset can be used as an opportunity for contemplation, meditation, and breath-awareness. Zen Habits has a great article on The Zen of Running, describing how running can be used to develop present-mindedness and concentration. Lately, I’ve been totally into running. Even though I can’t say that I always get the same peaceful, relaxing feeling of yoga when I run, I often leave the iPod at home and use the repetitive nature of running to enter a meditation-like state, concentrating mainly on my breathing patterns. All I can say is it works for me. Everyone’s different, so it may or may not work for you. But, you never know until you try. One of the suggestions from the Zen Habits blog is to keep a journal for recording thoughts and impressions that come while mindfully exercising. Since I like running, I’ve used a website called RunningAHEAD to track my running progress. In addition to tracking miles, times, and routes, RunningAHEAD also provides a convenient way to journal any ideas or thoughts that come to mind while out running. It’s nice to look back sometimes at the journal entries and remember those days I was in the zone. It’s also very motivating. The principles of yoga can be applied to almost any activity. For me, both running and yoga get me into that “stillness” that Chuang Tzu says must be discovered before human beings are able to see their true reflection, before they find out who they really are. For ancient yogis, it took A LOT of experimentation before they started systematizing the limbs of yoga and creating a system of movement that almost magically led to inner stillness. In fact, that experimentation has never stopped and continues still today. As John Parker said in Once a Runner, “If the furnace is hot enough, it will burn anything.” That is what yoga does for me; that is what running does for me. If that’s not yogic, then I don’t know what is. Bottom-line: Be like the ancient yogis and try something new; you might find enlightenment along the way. So, here’s the deal. You’re probably sitting there in front of your computer, surfing from site to site, picking up all sorts of good information on how to live a more happy and fulfilling life and stuffing your mind with great ideas, most of which were thought up by pretty regular people. Isn’t it fantastic how much we can learn from each other these days? The main problem with all of this web surfing and information gathering is that most of us sit there at the computer with perfectly slouchy posture. Not good. Not only that, we often sit in front of the computer breathing ridiculously shallow breaths, as if oxygen were in short supply and we don’t want to be the jerk who used it all up. Well, last I heard there’s plenty of quality air to go around (unless of course you were in Mike Myers’ yoga class a few months ago), so why not take a second to sit up straight, remember that you are not slowly dying (well, we sort of are) and take some deep breaths. Even better, head over to Asia’s Pranablog, enjoy the beautiful photographs and read up on some yoga postures that will help you breathe better. P.S. 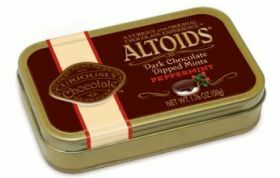 If anyone is looking for a new addiction to replace an old one, I recommend Dark Chocolate Dipped Altoid Mints. I just ran across a great article at Zen Habits with some excellent reminders for how we can live more kind and compassionate lives. I don’t really think I could say it much better than the guide does so I highly recommend heading over there for a bit of reading and pondering. Yoga just makes you feel good. Anybody who’s done yoga for more than a week realizes that there’s more to yoga than just twisting, bending and generally looking impressive on your mat. There’s something about the consistent intersection of the forces of mind, body and breath that refreshes the spirit and slowly changes the practitioners life for the better. As if we needed scientific research to inform us of the benefits of stepping on a yoga mat, well, proof is what we have. Recent research out of Boston University School of Medicine (BUSM) and McLean Hospital found that practicing yoga may elevate (BIG WORD ALERT!) brain gamma-aminobutyric (GABA) levels, the brain’s primary inhibitory neurotransmitter. The findings, which appear in the May issue of the Journal of Alternative and Complementary Medicine, essentially suggest that the practice of yoga may be a beneficial treatment for disorders associated with low GABA levels such as depression and anxiety. The following article from PhysOrg.com discusses the research and significance of the findings. I think you’ll find it interesting. The World Health Organization reports that mental illness makes up to fifteen percent of disease in the world. Depression and anxiety disorders both contribute to this burden and are associated with low GABA levels. Currently, these disorders have been successfully treated with pharmaceutical agents designed to increase GABA levels. Using magnetic resonance spectroscopic imaging, the researchers compared the GABA levels of eight subjects prior to and after one hour of yoga, with 11 subjects who did no yoga but instead read for one hour. The researchers found a twenty-seven percent increase in GABA levels in the yoga practitioner group after their session, but no change in the comparison subject group after their reading session. The acquisition of the GABA levels was done using a magnetic resonance spectroscopy technique developed by J. Eric Jensen, PhD, an assistant professor of psychiatry at Harvard Medical School and an associate physicist at McLean Hospital. According to the researchers, yoga has shown promise in improving symptoms associated with depression, anxiety and epilepsy. “Our findings clearly demonstrate that in experienced yoga practitioners, brain GABA levels increase after a session of yoga,” said lead author Chris Streeter, MD, an assistant professor of psychiatry and neurology at BUSM and a research associate at McLean Hospital. “This study contributes to the understanding of how the GABA system is affected by both pharmacologic and behavioral interventions and will help to guide the development of new treatments for low GABA states,” said co-author Domenic Ciraulo, MD, professor and chairman of the department of psychiatry at BUSM. “The development of an inexpensive, widely available intervention such as yoga that has no side effects but is effective in alleviating the symptoms of disorders associated with low GABA levels has clear public health advantage,” added senior author Perry Renshaw, MD, PhD, director of the Brain Imaging Center at Harvard-affiliated McLean Hospital. So, with those happy thoughts in mind…you’d best get off the Internet and get back on the yoga mat!! (the kind that drives you to eat when you’re upset, angry, or stressed). The body takes those extra calories and distributes them as fat in the abdomen, contributing to weight gain and the risk of diabetes and heart attack. Yoga encourages you to relax, slow your breath, and focus on the present, shifting the balance from the sympathetic nervous system (or the fight-or-flight response) to the parasympathetic nervous system. The latter is calming and restorative; it lowers breathing and heart rates, decreases blood pressure, and increases blood flow to the intestines and reproductive organs—comprising what Herbert Benson, M.D., calls the relaxation response. So, there’s three good reasons, now go check out the other (38-3:) = 35! Can You Say Om Namah Shivaya? In this clip, Rodney Yee explains how a few yoga moves can keep your spine healthy even if you’re stuck in a chair all day. We live in a day and age of information overload. You know exactly what I mean. In fact, you’re probably sitting there at your computer right now beginning to think to yourself that you’ve spent way too much time on the Internet mindlessly surfing for one evening. Nonetheless, unless your will-power is stronger than your mouse clicking fingers, this blog will probably not be your final web surfing destination for the moment. In a matter of minutes you’ll be off to some other website in search of that mirage-like satisfaction that the Internet provides (unless of course you decide to stay at Daily Cup of Yoga and invest nine minutes of your life to find out who wins in the battle of Kung Fu v. Yoga). 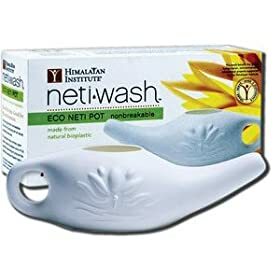 I’m reminded of the TV commercial that ran a few years back where a guy sitting at his computer at home is feverishly surfing the web and finally gets the message on his screen that says, “You’ve reached the end of the Internet” (or something along those lines). Well, if you ever find it, let me know. I think you’ll be looking for a long time. Luckily, the eight-limbed path of yoga gives us some tools and principles that help us deal with our compulsive tendency to keep clicking the mouse, or continuing in any activity, for that matter, that draws us away from reason and into our senses. In Light on Yoga, B.K.S. Iyengar states, “If a man’s reason succumbs to the pull of his senses he is lost” (p. 45). That is a very insightful statement. It implies that unless a person is able to overcome his or her senses through the human endowment of higher reasoning, then he or she is no better than an animal. In essence, by constantly succumbing to the pull of our senses, we are in fact forfeiting or giving away the power of reasoning that makes human beings unique. With that thought in mind, I urge you to take a moment to listen to your breath, to feel its rhythm (or lack thereof), to take some time to turn away from whatever it is that is distracting you, to close your eyes, and turn inward. Take a few minutes to shut down your outward sensors and spend some time finding the true satisfaction that comes from just being with yourself, inside your mind, with your breath. After just five minutes of inward searching, you will undoubtedly have a greater sense of peace and self-control when you open your eyes and are confronted once again with the battle for your senses.